Are you noticing water stains on your walls or ceiling? The usual diagnosis for this symptom is a leak in your roof, but surprisingly enough, most of the moisture damage comes from your attic, and this is known as attic condensation. In many ways, attic condensation can lead to more frequent roof repair for your home than actual leaks. Here’s why. When your home’s heating system blows heat through your vents, most of the heated air rises up to the attic. Here, it comes into contact with the underside of your roof, which has a comparatively colder temperature. When this happens, the water vapor in the humid hot air condenses into water droplets, which are then retained in the attic. Many roofing contractors find that water can do all sorts of damage to the wooden structures that hold up your ceiling. Mold and mildew. The hot and humid conditions caused by the condensation make the perfect breeding ground for this hardy and dangerous fungal growth. Mold is particularly dangerous as it can release spores that are potentially dangerous if inhaled. Early rot and deterioration. Most wood is made to withstand moisture, but it can only resist water by so much. Constant exposure leads to early rotting and a possible collapse of your roof. Ice damming, water stains and surface damage. Water stains and peeling paint can negatively affect the look of your facade, but the biggest problem happens in the winter. When water expands and contracts as it goes from water vapor to liquid to ice. This can strain any water-logged wooden beam or structure, and cause further damage. The best way to prevent condensation is to have properly installed insulation in the attic. 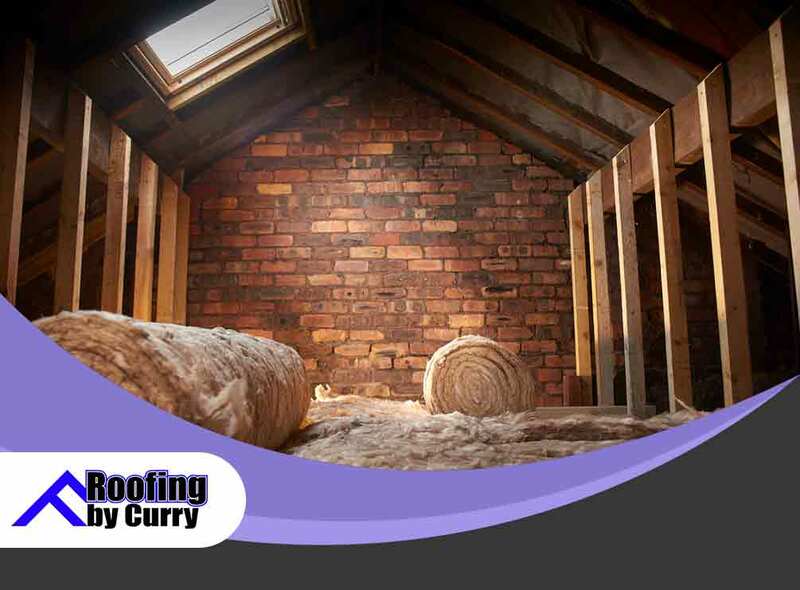 As one of the finest roofing companies in Florida, Roofing by Curry can help your home deal with the effects of attic condensation. Give us a call at (941) 270-4770, or fill out our online contact form to schedule a consultation and get a free estimate. Roofing by Curry serves Sarasota and the surrounding areas.